We design and print brochures and pamphlets. Brochures are great advertising pieces mainly used to introduce your business to potential customers and inform about products and services to a target audience. 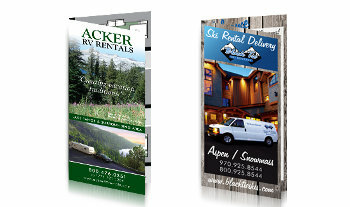 You can distribute your brochures by mail, personally or placed in brochure racks. We make both bi-fold and tri-fold brochures.